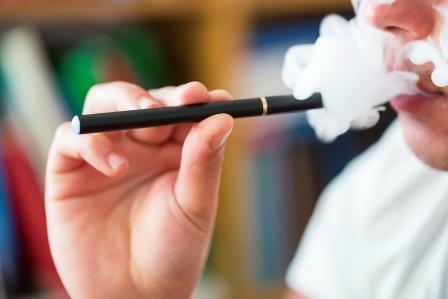 The American Heart Association estimates that at least 1 in 4 teenagers is vaping from results of a 2015 survey of more than 15,000 teens nationwide. Amir Wahab, MD, a family medicine physician with Memorial Physician Services–Lincoln, points to targeted marketing tactics as a culprit in vaping’s growing popularity. Wahab agrees that smokeless tobacco contains fewer chemicals than cigarettes, but that doesn’t make it a safer habit. As of June 1, 2016, vaping by minors is illegal in the majority of states–including Illinois. Illinois penalties up to $200 and 50 hours of community service can be leveled against minors in possession of vaping products. Courts may also request parents to attend an awareness program with their child.